They wake up at the crack of dawn with courage, endurance and perseverance, to show the world who's boss. Cheers to you, moms, everyday and high performance athletes, first responders, and you — looking to live life to its fullest by being active. In our book, you’re the real heroes. We salute you. My obsession is trail running. I never was much of a runner and ran my first half marathon during my junior in college. I was hooked! Before I knew it, I found myself racing all the time. To protect my feet, toes and body from chafing and developing blisters during my long distance runs, I rely only on Body Glide. 400 miler anyone?! 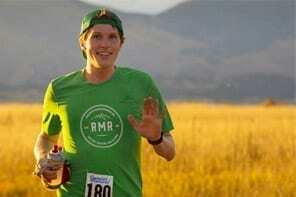 A 100 mile trail run? Easy peasy for Greg. As a half iron racer on team USA I will be training on my bike for hours. That's a lot of chafe time. Using Body Glide really cuts down on the friction and lets me concentrate on just power to the pedal. Best part, it doesn't stain my expensive cycle clothes and ruin them. Most importantly, it keeps me in the saddle longer! It’s a must have. I wouldn't ride without my Body Glide Cycle. Keeps you in the saddle longer. God speed, Rob. Being a mom with twins is crazy, but it’s so much fun. Both girls have developed my dry skin tendencies. I tried Body Glide Her, because I used it during my pregnancy to prevent chafing and to help with the stretch marks. Since it’s so portable, I stick it in my bag and of I go. It helps for everything, chapped lips, dry skin, or chafing. It works really well, and recommend it to anybody—and I have. Lana's handbag would not be complete without it. Adrenaline pumping. You get in the smoke and size up the scene. I have been a fireman for about 8 years and have been in extreme environments. Your body takes a beating. In an emergency, I have to gear up in less than a minute—your body chafes and wears thin against rashes. All I use is Body Glide, just a quick dab, and I have peace of mind. Once you put it on, it’s like a shield. Fighting blazing fires and chafing? No sweat for Justin. A born sprinter transitioned ultra runner. My goal is simple, average people can do great things, like running solo and unsupported across Canada…and back again. 21,525 kilometers of the toughest terrain the country has to offer. I won't be doing it alone. I won't take a step without Body Glide to protect my feet and body. In the process, I will raise awareness and funding for Alzheimer’s and Breast Cancer. Wish me luck! Running across Canada and back. We got you, Eddy! I have always been dancing, even before walking. As a dancer, your body is your instrument, and you have to take care of it. Body Glide Skin has helped me through ballet class so many times, because the ballet shoes are very irritating to the skin. I recommend Skin to any kind of dancer. I always keep one in my dance bag with me at all times. Your world's a stage. Dance your heart out, Matt. I started running about 3 years ago and discovered that I was pretty good at it. I run about 70 to 100 miles every week. I actually stopped running because of chafing. That is pretty much like a piece of sandpaper between your thighs. I use Body Glide every run. I rub it on my chest, between my thighs. When I am running, I go miles and miles. I don't go out without it. Mile after mile, never runs without it. Glide on, Kevin. 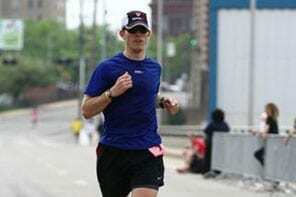 Surviving a heart attack at 28, I became a devoted ultra-marathoner and. I couldn’t see myself as a heart patient for the rest of my life. So I started running. When you are a new runner, there is a lot to learn. Body Glide is one of them. When your sports bra cuts into your skin or shorts chafe, you can trust Body Glide and enjoy your run. It’s easy to apply and not sticky or gross! Your story is inspiring. Keep on running, Elizabeth! 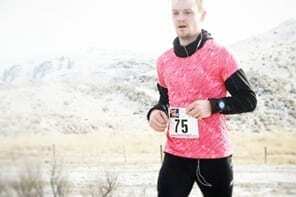 Seth is a certified running coach through USA Track & Field and Road Runners Club of America, and he is the owner of Kopf Running, an endurance coaching company based in the northwest suburbs of Chicago. Seth provides customized group and virtual training programs, one-one private coaching, corporate wellness services, event management consultation and charity race team support. He can be reached at coachkopf@kopfrunning.com. Follow on Facebook and Twitter.